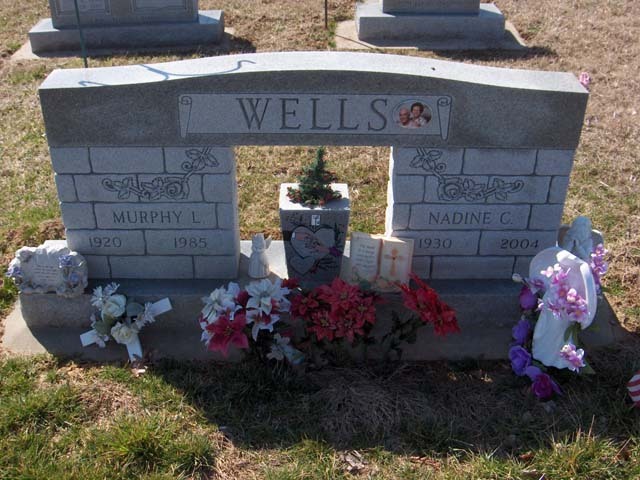 Nadine C. Wells, age 74, of Glen Allen, MO, died Thursday, November 4, 2004, at Saint Francis Medical Center. She was born March 24, 1930 at St. Louis, MO, daughter of the late Albert and Clara Welker Warner. 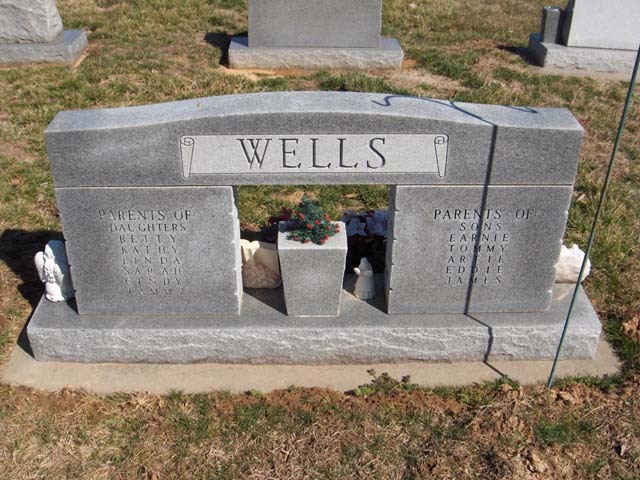 She and Murphy L. Wells were married April 19, 1948 and he preceded her in death July 28, 1985. Mrs. Wells was a homemaker. Survivors include: five sons; Ernest Wells, Marble Hill, Tommy Wells, Marble Hill, Arthur Wells, Jackson, MO, Eddie Wells, Chaffee, MO, Jim Bob Wells, Glen Allen, six daughters; Betty Yount, Marble Hill, Kathy Padgett, Bloomfield, IN, Linda Wells, Marble Hill, Sarah DeBrock, Marble Hill, Cyndi Nielsen, Sedgewickville, MO, Tammy Yount, Leopold, MO, four sisters; Mickey Warner, Cape Girardeau, Peggy Warner, Marble Hill, Jackie Brown, Marble Hill, Sharon Cook, Allenville, MO, twenty six grandchildren and twenty great grandchildren. Preceding her in death was her husband, two infant daughters, one brother one sister, three grandchildren and three great grandchildren. Visitation will be Saturday, November 6, 2004 from 4:00 to 8:00 PM at the Liley Funeral Home in Marble Hill. Funeral Services will be Sunday, at 1:00 PM at the Funeral Home with Rev. Gene Robbins officiating. Burial will follow in the Bollinger County Memorial Park Cemetery.